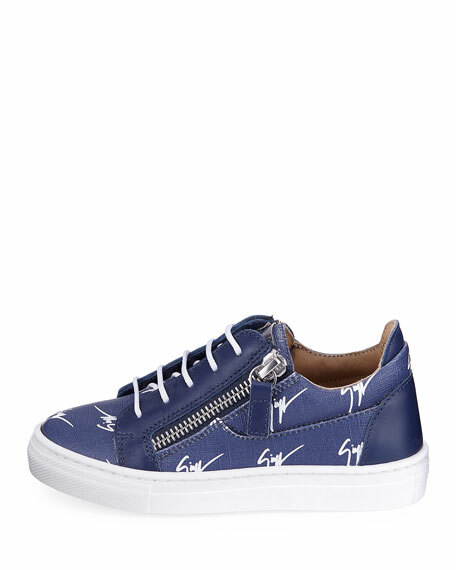 Giuseppe Zanotti children's low-top sneaker in logo-print calf leather. Lace-up front; dual side zips. For in-store inquiries, use sku #2456747. 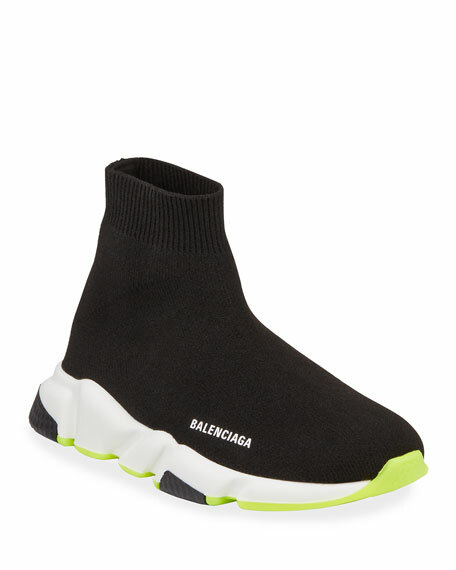 Balenciaga trainer sneaker with textile nylon/spandex upper. Ribbed knit sock construction forms to foot. Printed logo at outer side. Memory sole technology. Rubber outsole with shock absorption. "Speed" is imported. 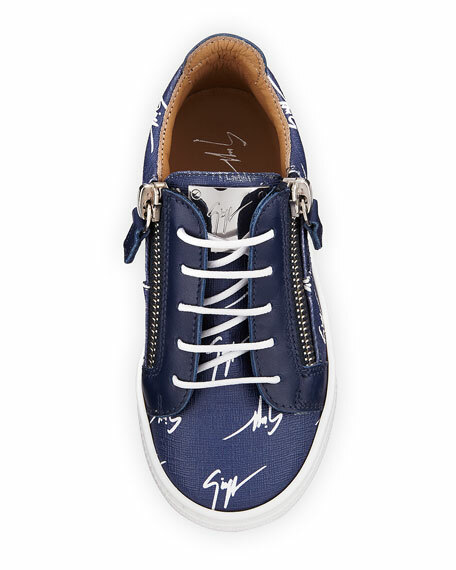 Bally low-top sneaker in logo-print calf leather. Round toe. Web inset at vamp. Lace-up front. Logo patch at tongue. Leather lining. Cemented construction. Rubber outsole. "Helmer" is made in Switzerland. 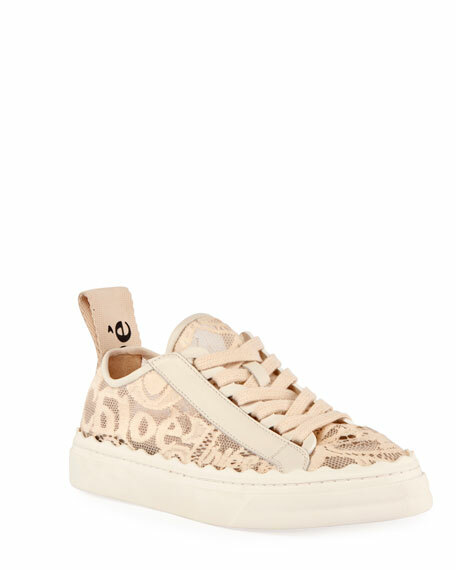 Chloe sneaker in logo lace with leather trim. 1" platform heel. Round toe. Lace-up vamp. Oversized logo tab at backstay. Padded footbed. Scalloped-edge rubber outsole. "Lauren" is made in Spain.